Explanation: Analyses of a new high-resolution map of microwave light emitted only 380,000 years after the Big Bang appear to define our universe more precisely than ever before. The eagerly awaited results announced last year from the orbiting Wilkinson Microwave Anisotropy Probe resolve several long-standing disagreements in cosmology rooted in less precise data. 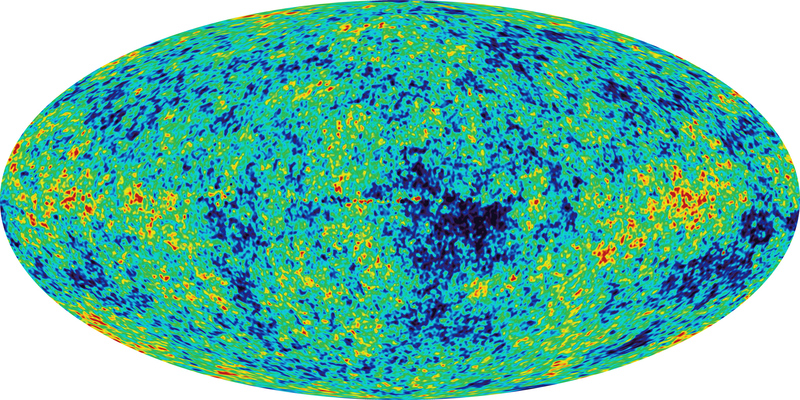 Specifically, present analyses of above WMAP all-sky image indicate that the universe is 13.7 billion years old (accurate to 1 percent), composed of 73 percent dark energy, 23 percent cold dark matter, and only 4 percent atoms, is currently expanding at the rate of 71 km/sec/Mpc (accurate to 5 percent), underwent episodes of rapid expansion called inflation, and will expand forever. Astronomers will likely research the foundations and implications of these results for years to come.